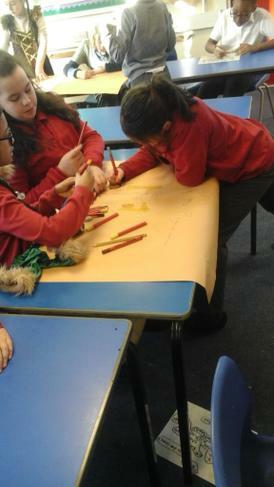 Year 5 have been looking at the Anglo - Saxons so far this half term. 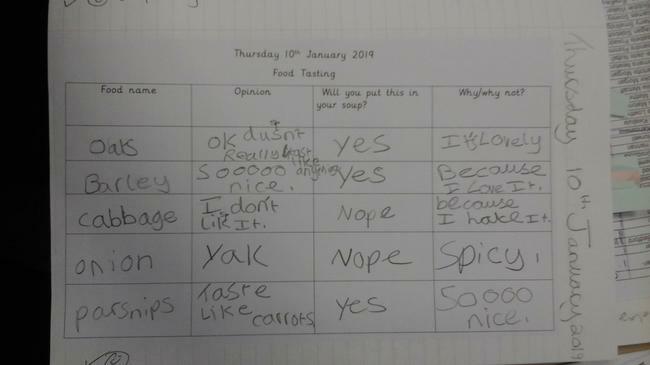 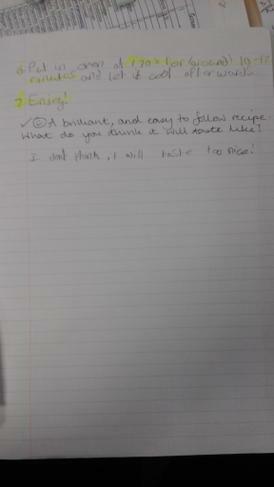 We have been looking at different aspects of their lifestyle and how it differs to ours today. 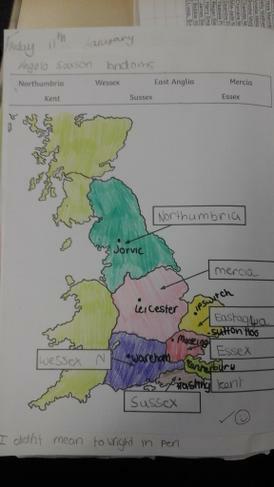 The children have been looking at how the Anglo - Saxons invaded Britain and the seven kingdoms they ruled. 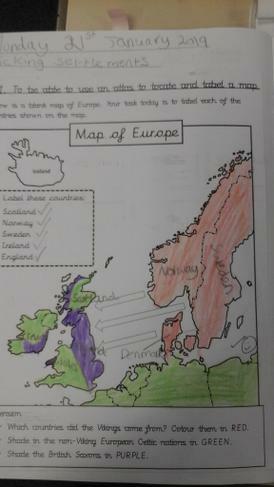 The children created a fantastic map that showed this and could label the areas accurately. 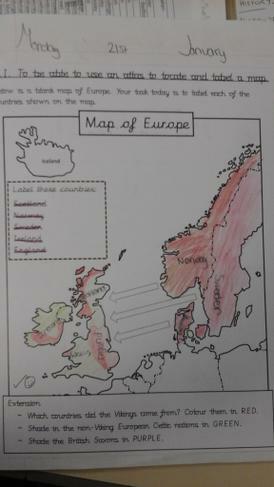 It was clear from the map that the Anglo - Saxons invaded quite a lot of Britain. 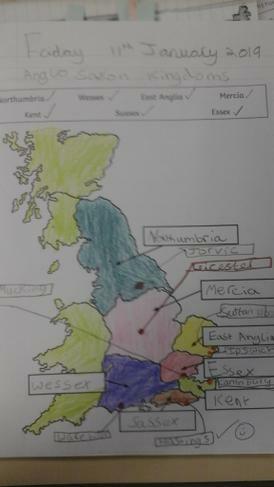 In year 5 we are currently looking at the Anglo Saxons and the Vikings. 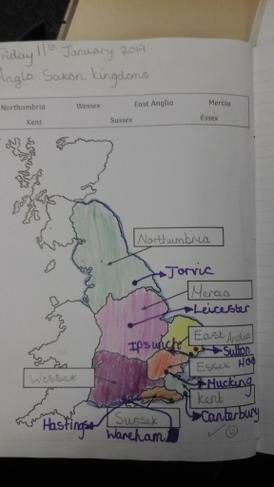 To start off our history topic, 5MB looked at the Anglo Saxons and their different settlements in Britain. 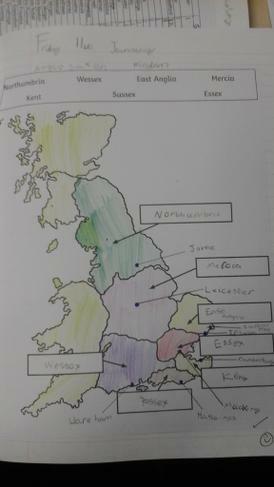 Here is some examples of the children's work showing the Anglo Saxon Kingdoms, Main towns and key features of an Anglo Saxon settlement. 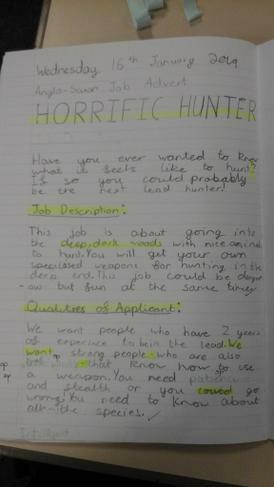 As a class we talked in depth about how certain jobs we have today would not have been relevant in the past and vice versa. 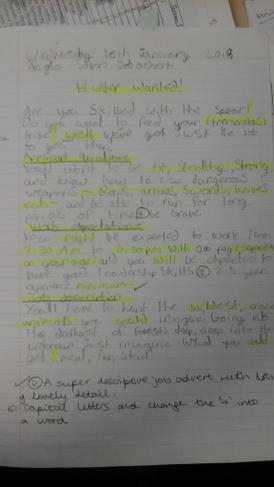 We looked at the different jobs Anglo - Saxons did and what type of skills you would have needed to do these jobs. 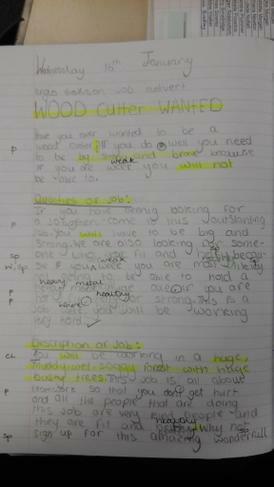 We found out that they had; bakers, wood cutters, dressmakers, cooks and many more. 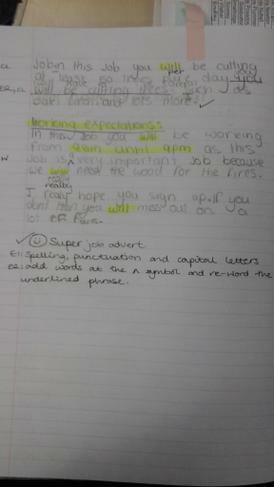 We then wrote a job advert so that people will know what you need to do! 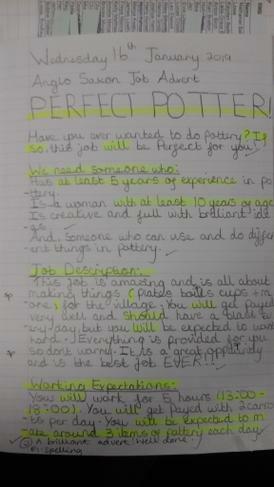 Take a read of some of our job adverts below. 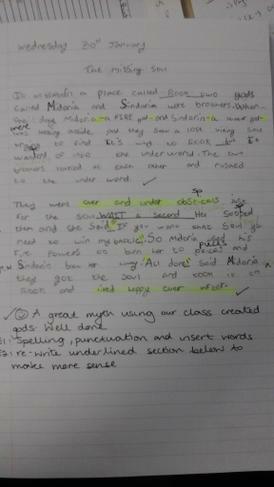 We have not only been looking at the Anglo - Saxons in our history lessons but also in our guided reading lessons. 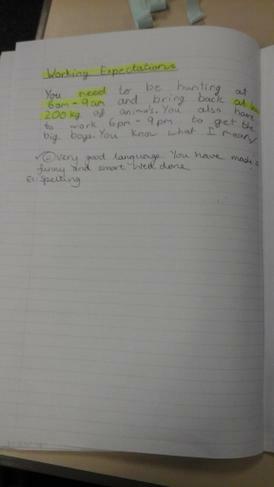 The children have read lots of facts about the Anglo - Saxons and answered lots of questions. 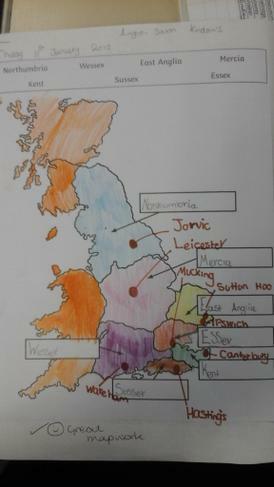 The children found out about the Anglo - Saxons starting off as Pagans and then becoming Christians, they looked at different Anglo - Saxon villages and also different legends that occured during the time of the Anglo - Saxons. 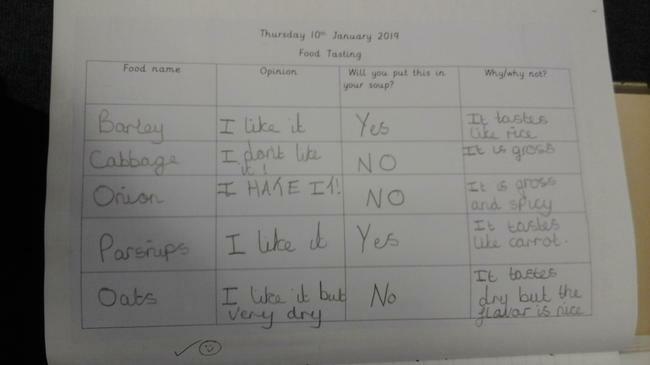 Take a look at some of the questions we have been answering below. 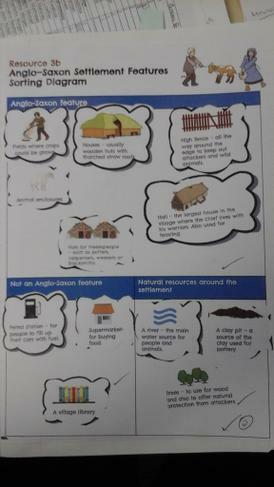 Finally, to round off the Anglo-Saxons for 5MB, we created a poster fact-file, using lots of different facts we have learnt about the Anglo-Saxons so far. 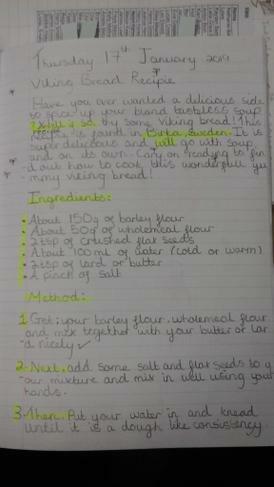 Here are some examples of the children's work! 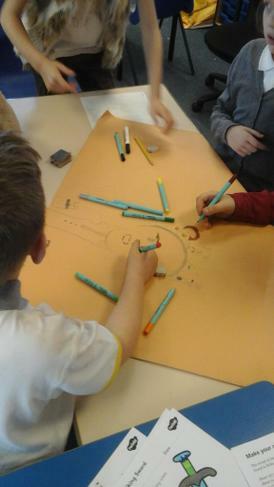 To start off looking at the Viking's in History, 5MB decided to have a whole day celebrating the crafts and life of the Vikings. 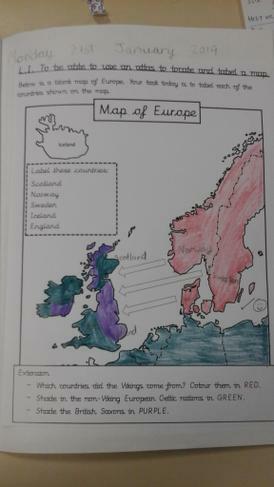 To do this, we had a Viking day, where we dressed up and took part in a variety of activities to get us engaging with the Vikings. 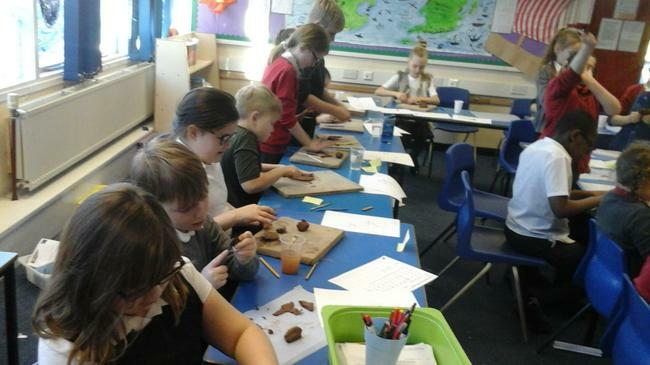 During Year 5’s Viking day, 5MB looked at Viking jewellery and designed and created our own using terracotta clay. 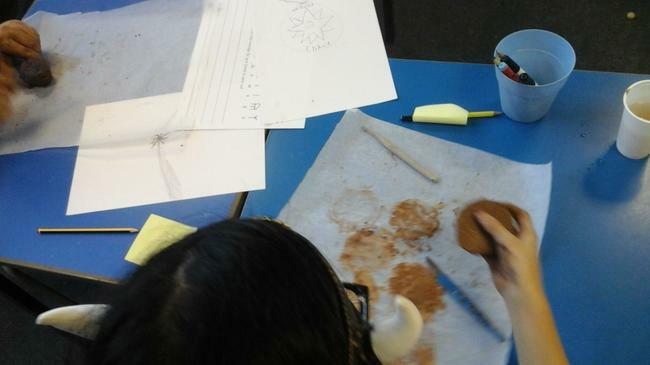 Here is some pictures of the children in action, creating their pieces of jewellery. 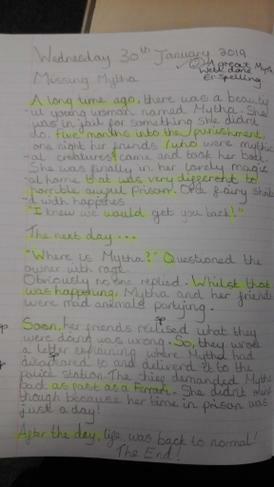 5MB Creating Viking Gods and Myths. 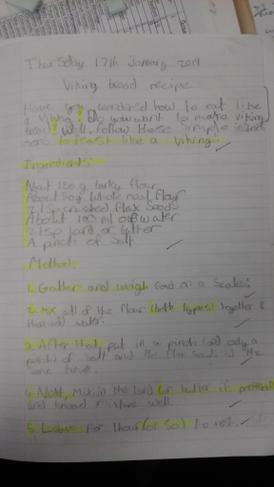 In 5LB the children were extremely lucky enough to have their own viking day! 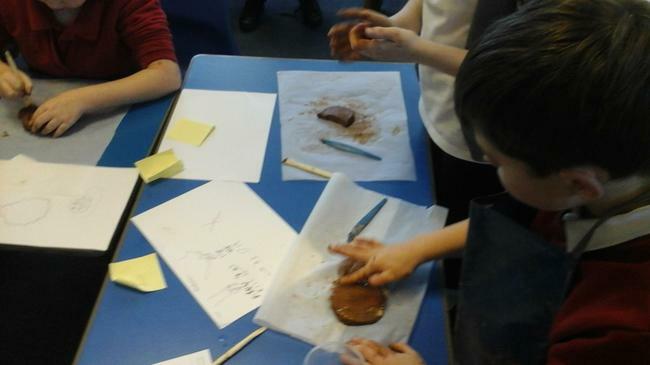 We had a go at dressing up as vikings, making viking breads, viking jewellery, our own viking gods and had a viking battle! 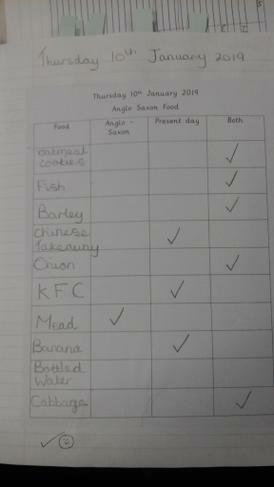 The children even invited their parents in to join us on this day so they could see all the fantastic things we have been up to. 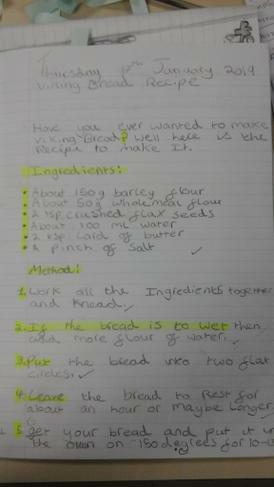 First of all the children made and baked their own viking bread. They mixed the ingredients, kneaded and shaped the dough. 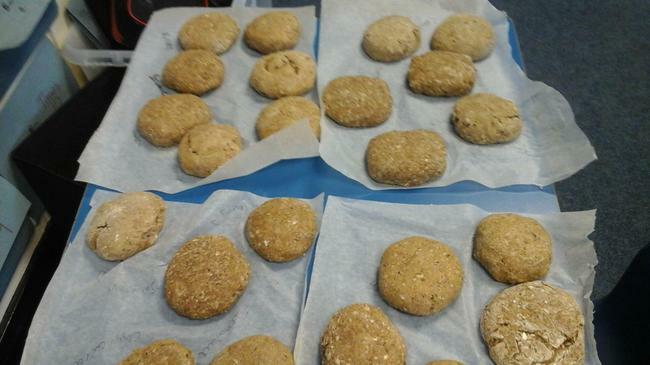 Then at the end of the day the children drizzled them in honey and said they were delicious! 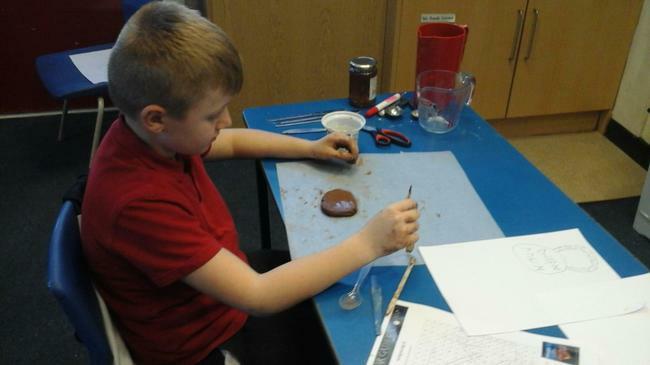 The children then used clay to create their own jewellery. 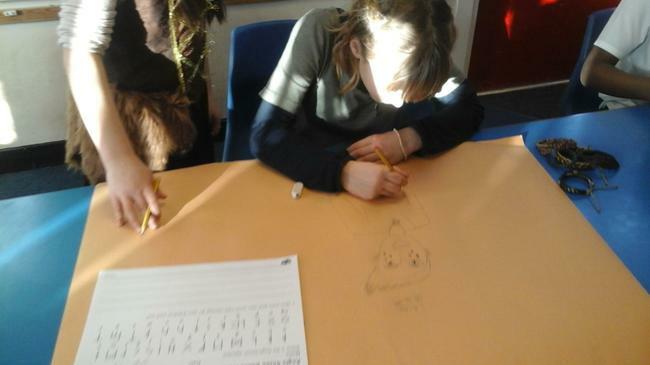 The children even used the Viking alphabet to write their own messages and phrases on their pieces. 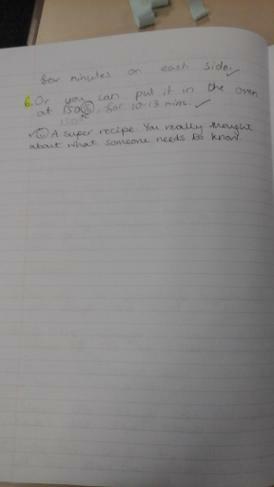 The children made necklaces, rings and broaches. 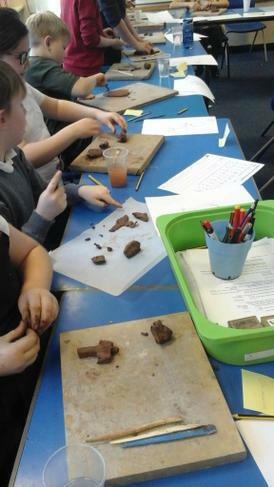 Everyone concentrated extremely hard and began to understand how hard it was to use the clay! 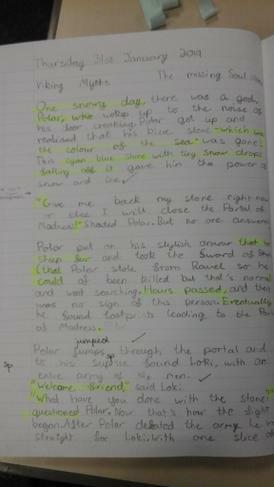 For the rest of the day the children created their own viking God which they later wrote a myth about. 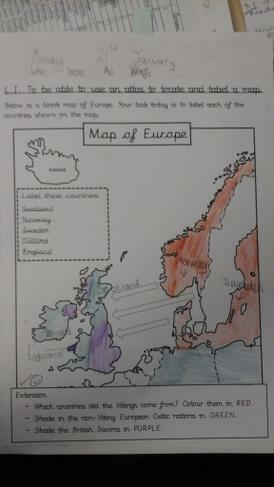 Finally we finished the day with a Viking battle! 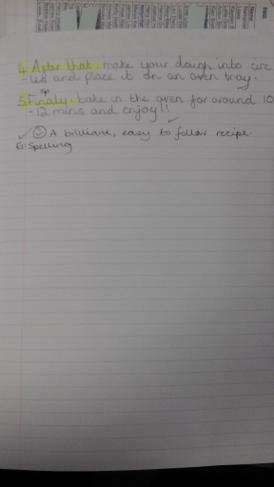 Everyone got stuck in and really enjoyed being a Viking for the day. 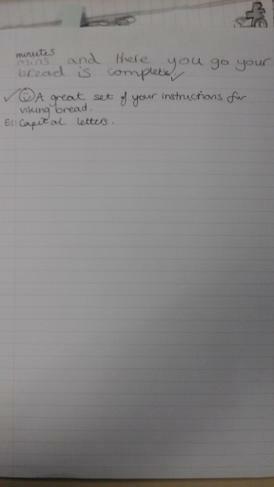 5MB - Where did the Vikings come from?